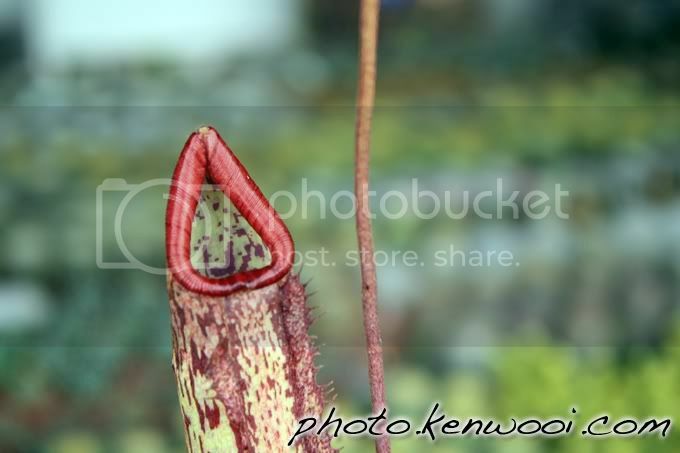 An insect eating plant (named Nepenthes x ventrata?) at Cameron Highlands. It's orifice really looks like lips. this monkey cup will definitely eat up and digest a lot of insect and sometimes frogs too.